The FZ-iWP Series, water proof and dust proof with internal calibration, incorporates the Compact Super Hybrid Sensor (C-SHS), which provides rapid weighing response coupled with high precision measurement. Simple one-touch operation ensures the accuracy of the balance. The FZ-iWP Series, water proof and dust proof (IP65) with internal calibration, incorporates the Compact Super Hybrid Sensor (C-SHS), which provides rapid weighing response coupled with high precision measurement. 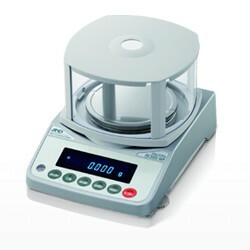 Simple one-touch operation ensures the accuracy of the balance.